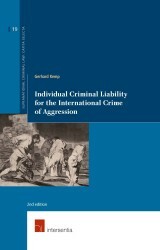 Gerhard Kemp is professor of criminal law and international criminal law at Stellenbosch University (South Africa), and advocate of the High Court of South Africa. He studied law at the universities of Stellenbosch, and Antwerp (Belgium). His research outputs (which include books, chapters in books and articles in scientific journals) focus on international criminal law, criminal law, criminal procedure, and humanitarian law. He is Editor-in-chief of the “African Yearbook on International Humanitarian Law”, and serves on the board of directors and executive committee of the Institute for Justice and Reconciliation. He is a member of the South African Academy of Science and Art.